The Society of Amateur Aircraft Constructors, (SAAC) was founded in 1978 to cater for the needs of a growing number of aviation enthusiasts in Ireland who wanted to build and fly their own aircraft for recreational and educational purposes. The objective of SAAC was to foster and support the construction,restoration, maintenance, certification and flying of amateur built aircraft. have the engineering expertise to evaluate new designs of aircraft, it adopted a policy of only approving proven designs of aircraft, to operate under the SAAC permitting scheme. Thus only designs already approved by the PFA, the RSA, or other recognised national organisations would be approved. In certain exceptional circumstances, a potential builder/operator could have obtained approval for a design not approved by any of the above organisations provided several examples of the aircraft are already flying satisfactorily elsewhere. Initially, all inspections of aircraft were carried out jointly by an inspector for the regulatory government department and a licensed engineer. Since the cost of this militated against the low cost objective of the society, it was proposed to and accepted by the regulatory government department that the responsibility for the operation of the PFA-type “flight permit” system could be devolved to SAAC following the example set up by the CAA in the UK. The documentation for the system was put in place for the build of the first post-war amateur built aircraft in Ireland, EI-AYY, the construction of which commenced in 1972. On the 4th February 1987, the Department of Communications granted SAAC a special approval so that they could accept recommendations from SAAC regarding the issue and renewal of flight permits in respect to amateur-built light aeroplanes and gyroplanes of an approved design and such other specific aeroplanes as agreed with the Department. Whilst SAAC’s objectives were to promote and foster recreational and educational aviation for its members, its main concern was to ensure that satisfactory safety standards were maintained in theconstruction of and maintenance of the aircraft operating under the SAAC Flight Permit System. 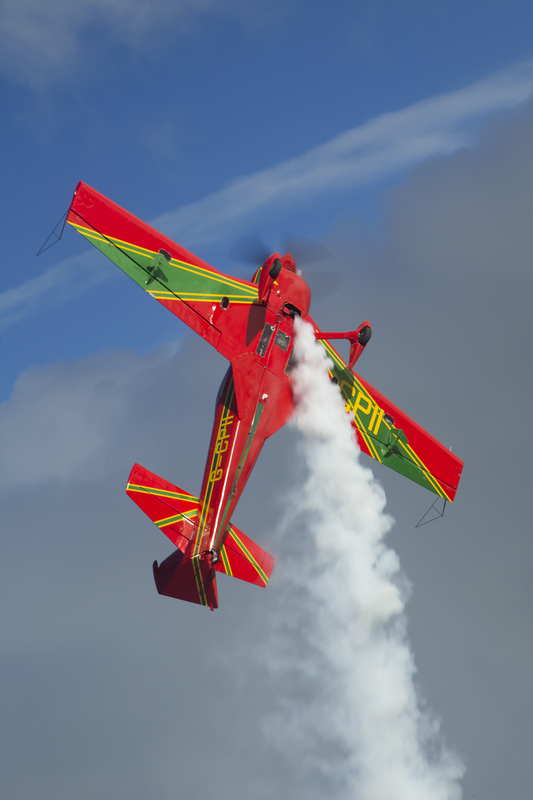 The Aerobatic and Classic Aeroplane Club was originally founded in 1979 − as the National Aerobatic Club of Ireland − by a group of people whose prime interest at the time was in aerobatic flight and competition. The Club became affiliated to the Irish Aviation Club (IAC) and, through them, the Federation Aeronautique Internationale (FAI), and it's aerobatic commission, the Commission Internationale de Voltige Aerienne (CIVA). Each year, the Club appointed two Directors and two Members to the IAC, and a delegate and an alternate delegate to CIVA. The Club was recognised by these bodies as the national authority for the sport of competition aerobatics in Ireland, and was responsible for the selection of an official Irish Aerobatic team to compete at international aerobatic competitions. The Club was incorporated as a sporting, non-profit, limited liability company in 1983. 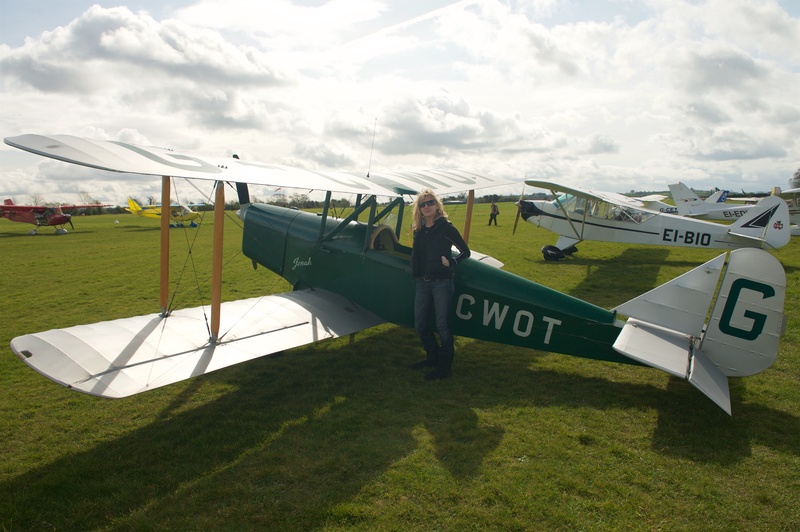 In 1985, the Club, in response to the interest of many of its members in classic and vintage aircraft, and to the growing interest around the country in such aircraft, decided to form a classic aeroplane section within the club. At the AGM in 1986, a motion was passed to this effect, and the articles of association so modified. The name of the Club was then changed to “Aerobatic And Classic Aeroplane Club of Ireland”. In 1998, the name of the Club was further changed to “Classic Aircraft and Aerobatic Club Of Ireland”, abbreviated CAACI. Initially, the activities of the Classic & Vintage section of the club were mainly focused on publishing newsletters, arranging fly-ins and increasing its membership. In 1988, however, it was decided to approach the Department of Tourism and Transport with a view to the introduction of a Classic & Vintage Aircraft Flight Permit system to replace the existing Certificate of Airworthiness. In 1989 the Department of Tourism and Transport accepted these proposals and the Club received anApproval Document, which allowed the Flight Permit System to come into operation. Piper Cub EI-BIO was the first aircraft to fly under the new system (having been granted a special category CofA in May 1990) and since then the number of Classic & Vintage aircraft operating on the Flight Permit scheme has continued to grow. The amalgamation of CAACI and SAAC was first proposed in the autumn of 2007 to bring together two organisations with similar purposes and objectives and significant common membership. After some exploratory talks and each organisation having polled the relevant membership, it was agreed in principle to go ahead with the amalgamation. In February of 2008, at a meeting with the IAA, it was agreed that a first draft of a new Procedures Manual would be submitted by the end of April 2008. The first draft of this document was the result. At separate AGM’s held on 25/01/2009, members of CAACI and SAAC voted to dissolve their respective organisations, immediately followed by a joint AGM at which the combined membership voted unanimously to form the Irish Light Aviation Society (ILAS). An interim steering committee was nominated to implement the merger and administer the organisation pending the election of a new Committee at the next AGM. ILAS is a not-for-profit, voluntary, educational and sporting organisation, administered by the members for the members. Its purpose is to foster and promote educational and recreational flying, the sport of aerobatics, the construction of amateur-built aircraft and the restoration and operation of Classic & Vintage aircraft in Ireland.